Yesterday I attended the birthday party of my friend's daughter Rania. It was raining the whole afternoon and thank God I was able to attend the celebration. 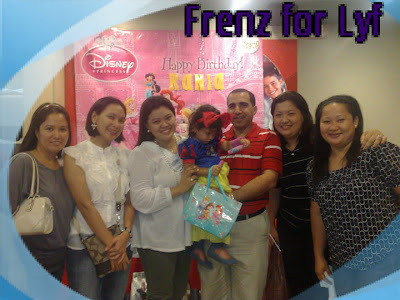 My first time to see Cielo again after 10 years I think... and was able to see my college friends - Madz, Tey and Ellai.